Cloud and securing the consumerisation of IT are the trends likely to dominate next week's InfoSec event in London. As more vendors reveal their plans for the event it is becoming clear that those two topics are the ones that will be discussed over the three day show in Earl's Court. Cloud and securing the consumerisation of IT are the trends likely to dominate next week's InfoSec event in London. As more vendors reveal their plans for the event it is becoming clear that those two topics are the ones that will be discussed over the three day show in Earl's Court. Along with the inevitable reaction to the recent high-profile security breaches that have plagued RSA, Barracuda, Play.com and Trip Advisor there will be plenty of scope for the channel to pick up tips around securing the latest developments in the market. Sophos is planning to tackle the question of consumerisation, the growth of workers using their own technology, with a number of its executives, including senior technology consultant Graham Cluley, discussing the issue. Also at the event the Cloud Security Alliance will be holding a workshop and making senior staff available to discuss the challenge of securing hosted applications and data. 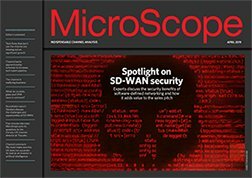 MicroScope InfoSec preview also detailed how many of those exhibiting are planning to focus on the cloud and the challenge of securing a more flexible workforce.